Above are some photographs of a sefer Torah I have been called in to repair from time to time. 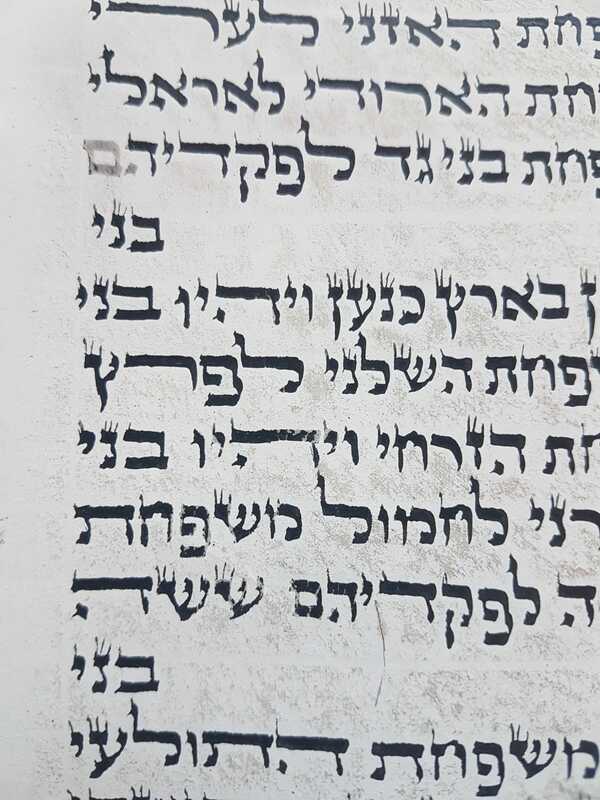 It as a sefer written on klaf mashuach, coated parchment. Over the past few years I have noticed fresh problems and cracking, occurring more frequently, to the point that there are currently several amudim that look like the pictures above. I have never previously agreed to undertake a comprehensive repair a mashuach torah scroll, because that nature of it is very difficult to work with (ink runs off the coating) and because of the coating, there is no guarantee how quickly letters will continue to crack. Once it starts, it doesn't stop, and it would be very difficult to guarantee continued Kashrus. I have recommended to the owners that it is beyond my scope and capabilities to work with such a sefer. Furthermore, all of my usual repairers that I outsource to in Israel, won't touch klaf moshuach seforim. Does anyone know of a reliable repairer of klaf mashuach? Perhaps someone who knows a method of ensuring the letters don't continue to crack? 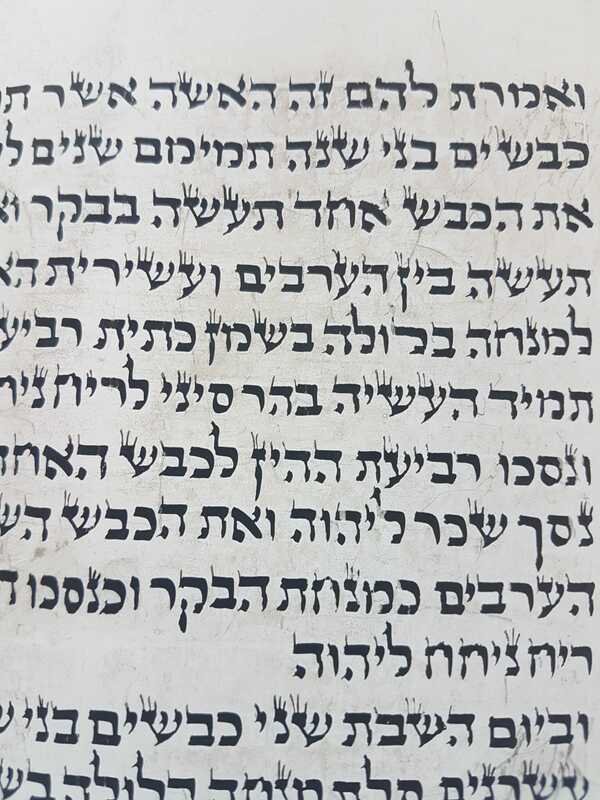 I would like to be able to do something to help the owners of the sefer. I have also heard of someone that puts a coating of some sort of laquer on top of the ksav to make sure it doesn't crack. I am not talking about fixative as that would likely be useless on mashuach. Can anyone shed any light on this please? I have worked on these in the past, and always regretted it.The coating deteriorates with time, and eventually will not hold ink for any length of time. I have used the fixative, which is available in any art supply store. People imagine in glues the ink to the klaf. This is not true. 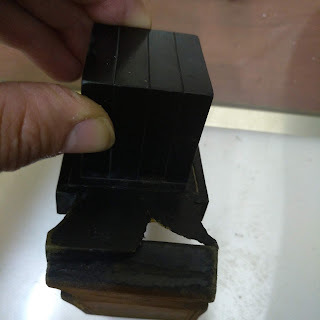 Rather, in keeps air from reaching the ink, thus preventing further oxidation and deterioration.It is helpful when the ink is just beginning to deteriorate. Another problem is that a sofer working on an old Tefer Torah, is trying to make it kosher; no more. People often expect a restoration, with the Torah looking "like new".I once put in hundreds of hours on a sefer like this, and the customer refused to pay. Yes. The regular ink is very brittle. On a klaf mashuach it also has no adhesion to the klaf. Dio Lanetzach remains flexible forever. And it has much stronger adhesion. The latest formula of Dio Lanetzach is #302. All the sofrim tell me the same thing - don't make any further changes to the ink. 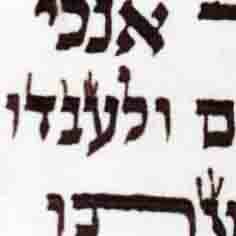 In Israel all the sofrim who write on Gvil are now using only Dio Lanetzach #275 which is a special formula for Gvil. So you are saying the only way to prevent it deteriorating is to re-write over the whole torah with dyo lonetzach? That would be a tremendous amount of work. Only a small portion looks like above. The rest is still fine but my concern is that it will deteriorate. Is there any other way to stop it from getting to that stage? 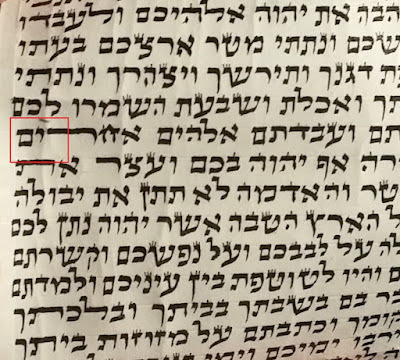 The real problem with a Sefer Torah mashuach is that the ink does not touch the klaf. I think that this makes the Sefer Passul. Here the problem is that the underlying (mashuach) coating has deteriorated. It is cracking and caking-off; and with it, the writing that's on it! There is no amount of fixative or lacquer that can prevent this problem. To the contrary, it will only agravate it. If this condition is prevalent throughout, this sefer is sadly ready for genizah.